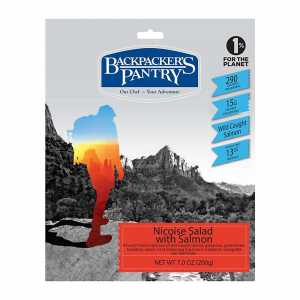 A fresh alternative to the typical salty noodle-based dehydrated meal, the Backpacker's Pantry Nicoise Salad has lots of healthy, whole ingredients that make a very refreshing backcountry meal. 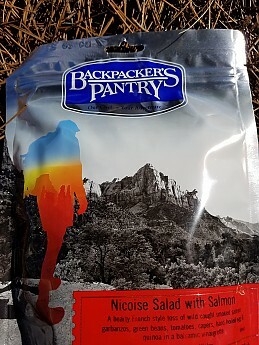 Backpacker's Pantry added several tasty new meals to their lineup this year and I was able to test three of them. I found the Nicoise Salad to be the most interesting, so I'll start with that. The others that I tested were the Chicken Picatta with Tagliatelle Pasta and Chana Masala. Of the three, I liked the Chana Masala the best, but all three are good and worth a try if you like these types of food. I wouldn't exactly describe myself as a foodie, so when I first heard I was testing this, I wondered "What in the heck is Nicoise Salad?" 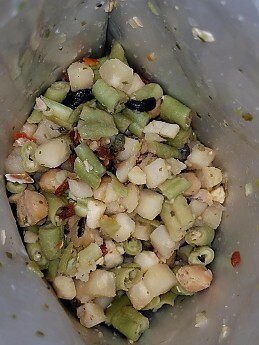 After some research, I found that Nicoise Salad (pronounced "nee-swah") is a French dish that can be made either as a traditional lettuce-based salad, or more of a bean salad type. This one is the latter. Typical ingredients of Nicoise Salad are fish (usually tuna), hard boiled egg, potato, capers, black olives, tomatoes, and green beans. 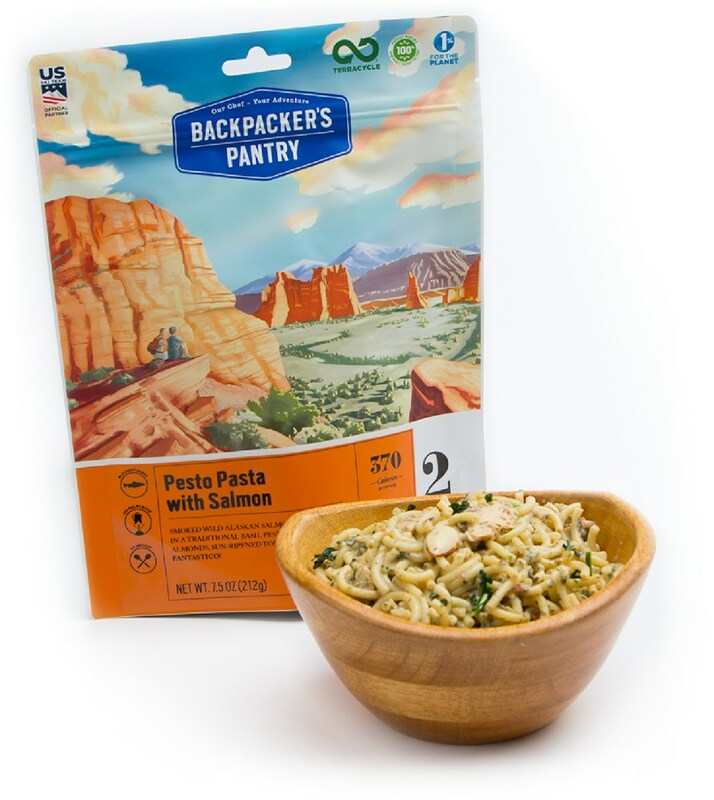 Backpacker's Pantry sticks pretty close to the typical recipe, but adds quinoa and garbanzo beans for texture and extra protein. It also uses a really nice flavored brown sugar wood smoked salmon filet instead of tuna. I think this is a great choice. 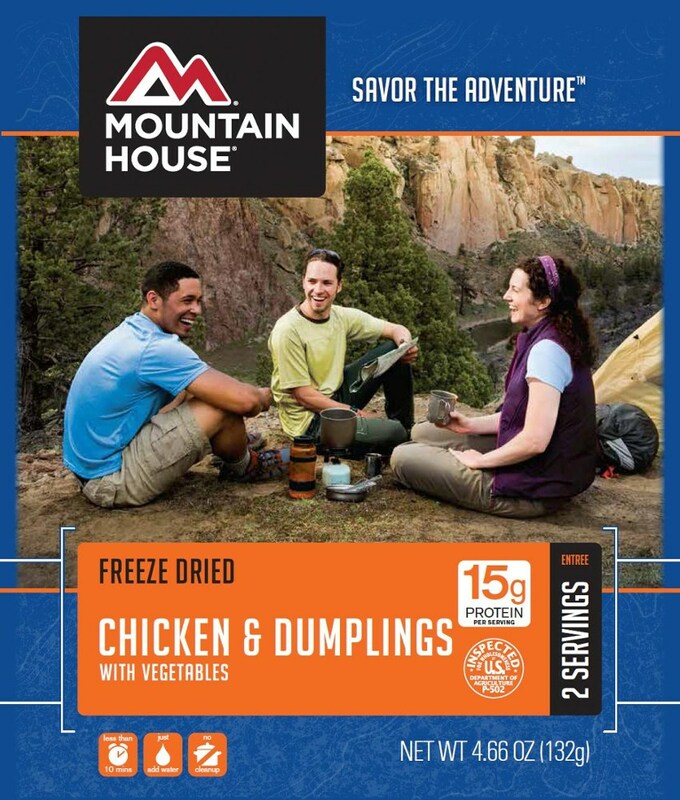 I was super impressed when I saw a package with a real wild caught Alaskan salmon filet instead of freeze-dried fish. Prep for the Nicoise Salad is fairly easy. 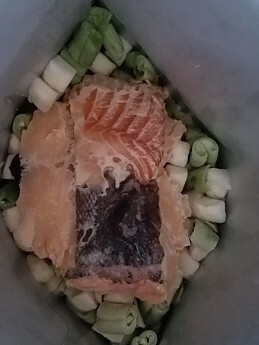 All you do is remove the oxygen absorber, take the salmon out of the pouch and put it in the bag, add 2 1/4 cups boiling water, and let it sit for 15-20 minutes. 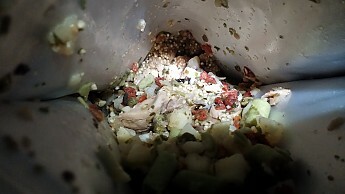 The first time I prepared it, I used my usual method of adding enough water to cover just above the food line. This made it turn out too watery. The second time I prepared it, I followed the directions and it came out perfect. I let it sit 20 minutes each time. I prepared it at approximately 4000 ft, so the directions applied to me where I was. The food rehydration time doubles every 5,000 ft, so make sure to take your elevation into account when you prepare your meal. 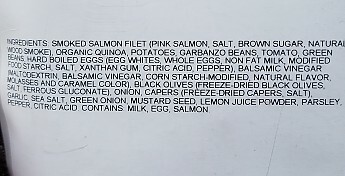 The Nicoise Salad has an impressive whole ingredient list. Almost as impressive as the whole ingredients is the fact that it doesn't have many preservative ingredients. The Nicoise Salad is packed full of tasty ingredients, so you get a lot of different flavors with each bite. The salmon, balsamic vinegar, quinoa, garbanzo beans, olives and capers stand out to me, tastewise. Even though it has a lot of different flavors, none really are overpowering. I think it tastes good enough as it is, but would personally like it to have a little more flavor. I would add garlic or celery salt, Dijon mustard, or even bacon bits to add more flavor to it. All of the whole ingredients in the Nicoise Salad give it a really nice texture. 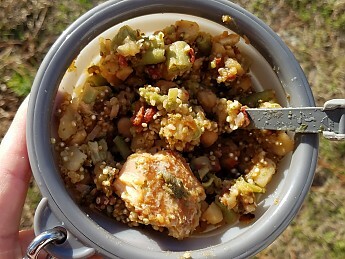 The addition of quinoa and garbanzo beans add a nice little crunch to the dish. Also, make sure that you stir it really well from the bottom or scoop it into a bowl or dish because the quinoa settles at the bottom and you would really want it blended in well. While the Nicoise Salad doesn't sit heavy on your stomach, the two-serving meal (13 oz each) is definitely plenty of food for two people. I ate it for lunch and dinner and it was great for both. After hiking all day, I still wasn't too hungry. 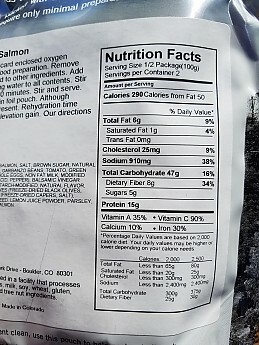 For those doing monster mileage in a day, you might want to consider eating the entire bag or supplementing with something extra because 290 calories isn't very much. I would suggest adding a hard boiled egg or bacon. 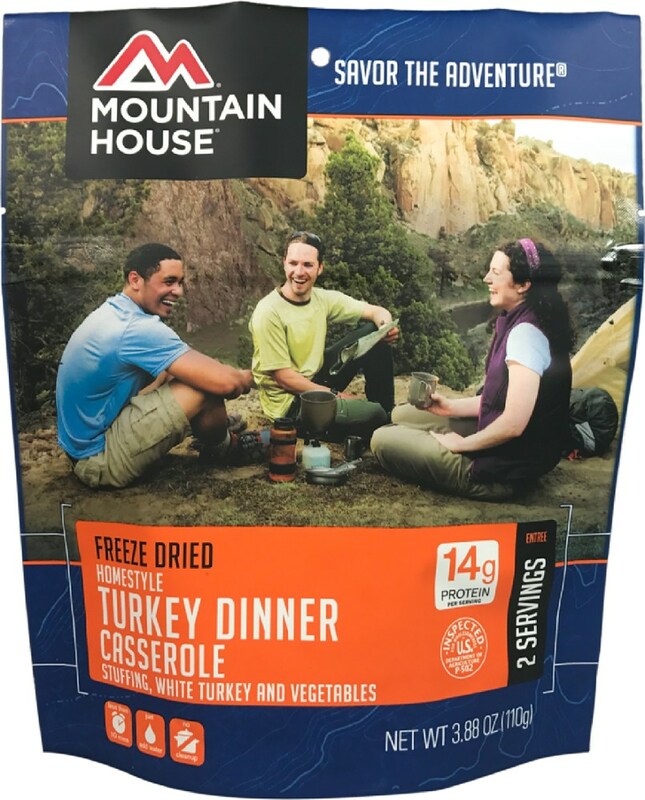 It may not have as much protein as some other dehydrated meals, but it does have 15 grams per serving and 8 grams of fiber to help keep you full. 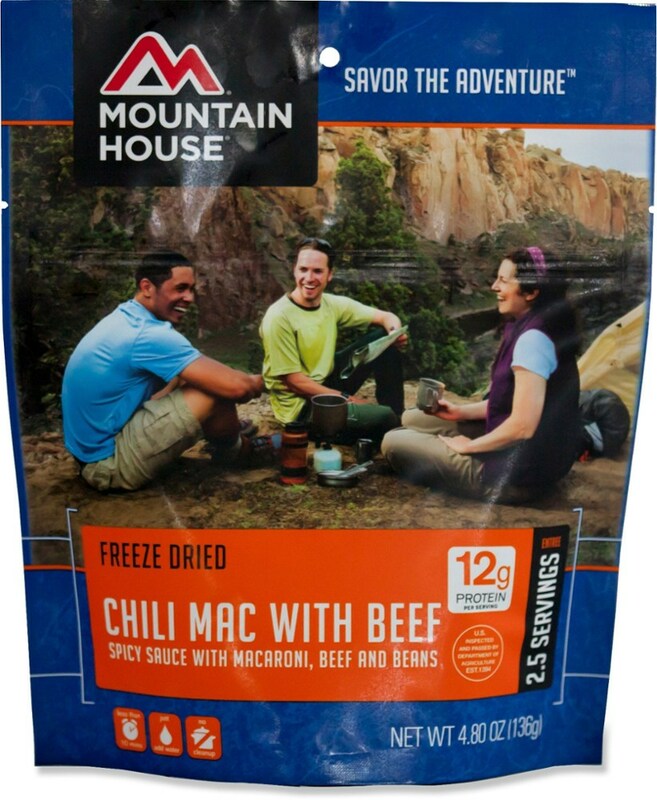 I would recommend this for dinner if you have hiked all day and aren't starving, so you want something that isn't going to sit heavy on your stomach. It is also great for those who are on a diet and want an option lower in sodium, calories, and fat. 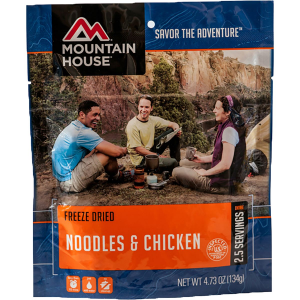 It wouldn't be my first choice of freeze-dried meals, but it is definitely worth a try if you are willing to fork out almost $19 for a backpacking meal. Thank you for taking the time to read my review of Backpacker's Pantry Nicoise Salad with Salmon. 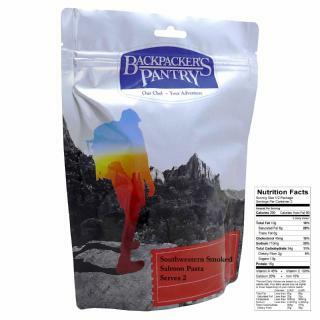 Thank you to Trailspace and Backpacker's Pantry for the opportunity to test this meal. That is WAAAY too much sodium! 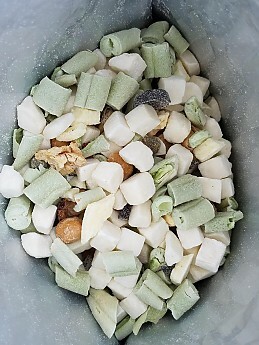 Most freeze-dried foods are huge salt bombs - and WHY?? Likely B/C they find it cheaper than using good herbs and spices to enhance flavor. Retort pouch tuna and 1/2 of a "Suddenly Salad" package would be healthier and tastier. Thanks for the taste-testing, Ashleigh! I'd have a very hard time justifying that cost for two 290-calorie meals. That said, I would definitely try it if offered some! 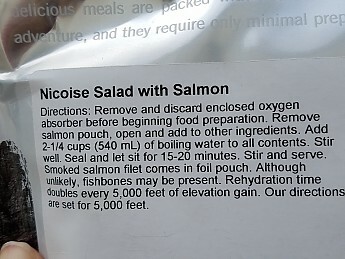 The Backpacker's Pantry Nicoise Salad with Salmon is not available from the stores we monitor. It was last seen June 23, 2018	at Moosejaw.